Run Time: 60+ minutes, with no intermission. Clothing with sensitive fabrics not recommended due to bubbles blowing into the audience. Lasers and strobe lights are used in the show.Everyone must have a ticket. 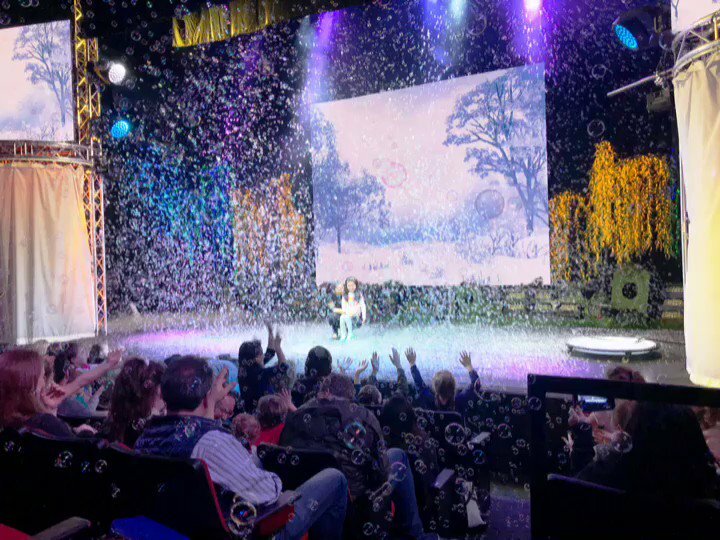 Lap seats for children 2 years and under are $20, available only at the box office.Strollers must be stored at the theater’s coat check for the duration of the show, for $1 per item. For more information, call 1-866-6 GAZ TIX (1-866-642-9849) or VISIT HERE. *Children must be ages 4 or older for on stage appearance. **Pricing does not include tickets to the performance, sales tax, or gratuity. Group Birthdays must include at least 10 guests. Everyone (both children and adults) are included in the guest count for both the tickets and the package. Performers are not able to travel to birthday parties held outside of the theater. Group Birthdays require at least 17 days advance purchase. For more information, call 1-866-6 GAZ TIX (1-866-642-9849) or email HERE. The unPOPable GAZILLION BUBBLE SHOW, now in its incrediBUBBLE 12th year in New York City, is the most unbubblievable show in the world! Gazillion Bubble Show’s appeal extends well beyond the stage, including appearances on “The Oprah Winfrey Show,” “The David Letterman Show,” “Live with Regis and Kelly,” “The Ellen DeGeneres Show,” “The Today Show,” “Good Morning America,” “The Steve Harvey Show,” “The Queen Latifah Show,” “The View,” “CBS Sunday Morning,” “The Wendy Williams Show,” “Bethenny,” “Dr. Oz Show,” “The Bonnie Hunt Show,” “Fox & Friends,” CNBC, FOX, NBC, ABC, CW11, NY1 as well as television stations around the world. Gazillion Bubble Show has also bubblized scores of A-list Hollywood celebs and their families including Emily Blunt and John Krasinski, David Beckham, Ashton Kutcher, Tom Cruise, Al Pacino, Halle Berry, Julia Roberts, Chris Rock, Debra Messing, Matt Damon, Faith Hill, Emma Stone, Andrew Garfield, Alyssa Milano, Heidi Klum, Seal, Peter Dinklage, Perez Hilton, Adam Sandler, Bethenny Frankel, Swizz Beats, Liam Neeson, Patrick Wilson, Bruce Willis, Chris Rock, Nicole Kidman and many more. Beyond Broadway: "Gazillion Bubble Show"
Gazillion Bubble Show was live. 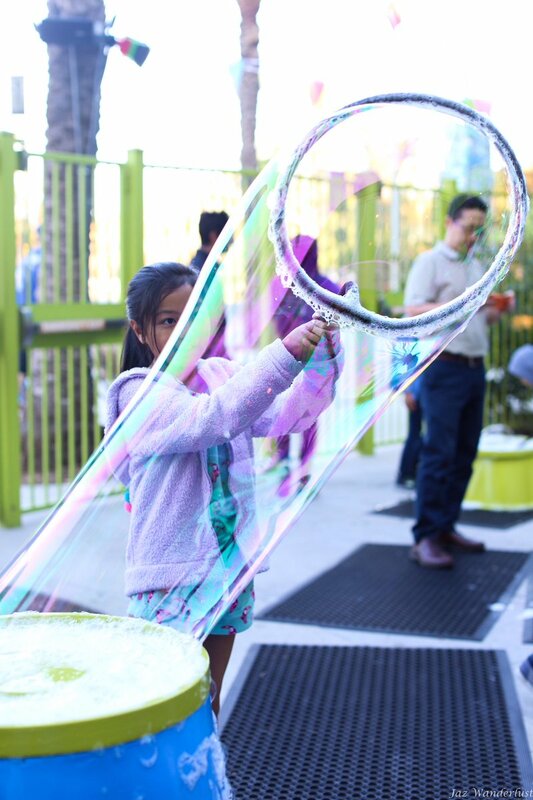 Gazillion Bubble Show is feeling excited at Discovery Cube Orange County. There is more magic in our own world than in any world of fantasy.